Blanchardstown Centre, which opened in 1996, comprises 1.25m sq.ft of retail and retail warehousing plus an additional 250,000 sq.ft of offices, a 9-screen UCI cinema, a theatre, a public library, residential apartments and a 188-bed five-star Crowne Plaza hotel. In addition, there is capacity for an additional 1.6m sq.ft net development comprising circa 1m sq.ft of retail, offices, leisure and 600 plus apartments under a master development plan that governs the site. There is also detailed planning consent for a net 272,000 sq.ft extension to the main centre, dubbed the Yellow Mall extension. This extension has planning approval for: a major store unit over three floors; 17 internal retail units; eight external retail/restaurant units and a food court over two storeys; and, two underground levels of car spaces totalling 749 spaces. The four anchor tenants comprise: Debenhams, Dunnes Stores, Marks & Spencer and Penneys. Blanchardstown’s current annual rent roll is €50m, the weighted average unexpired lease term is eight years and the current occupancy is 97%. JLL and Eastdil Secured have been jointly mandated to sell the Blanchardstown Centre. The centre’s combined retail and retail warehousing parts amount to Ireland’s largest shopping and leisure destination, with an annual footfall of 16 million – narrowly eclipsed by the 18m enjoyed by the Dundrum Town Centre, which Hammerson and Allianz Real Estate are in the process of securing direct ownership of. The timing of Green Property’s sale is to benefit from the point of the Irish commercial real estate property cycle. It is also considered a natural exit window for the next owner or owners to drive value through the 1.6m sq ft development potential, which will inevitably be up against the Dundrum Town Centre and its own expansion. Underbidders on Dundrum Town Centre could well be interested – which included Hines with the Kuwait Investment Authority, Colony Capital, Davidson Kempner and JP Morgan – as well as a broader pool of investors which were unable to bid for the NAMA Project Jewel loan trade. 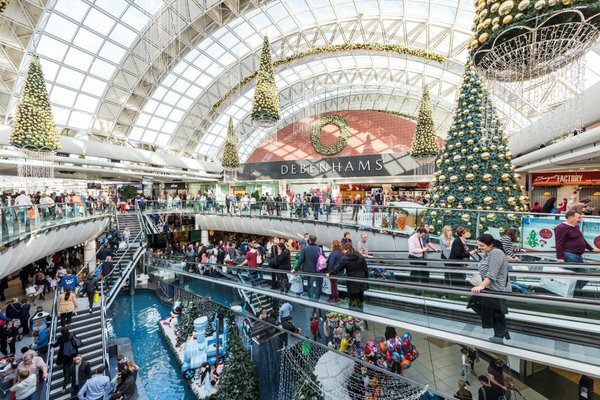 Last Spring, Eastdil Secured arranged a €750m refinancing of Blanchardstown Centre with Morgan Stanley, based on a circa €950m value at the time. However, JLL and Eastdil Secured are expected to close a trade in excess of €1bn and potentially as high as €1.2bn. Blanchardstown will be formally launched next month, with first round bids likely to be called in mid-March, thereafter a shortlist will be selected to progress to a second round with access to a more detailed data room. An exclusive bidder could be selected by end of April, with closure anticipated for before then end of June. There is an additional 250,000 sq.ft of offices, a 9-screen cinema, a theatre, a public library, residential apartments and a Crowne Plaza hotel. Stephen Vernon, Green Property Group Chairman, commented: “Blanchardstown Town Centre is a unique asset carefully planned and developed by Green Property, from greenfield site to Major Town Centre. Today, it is one of Europe’s most successful and vibrant retail destinations. John Moran of JLL, joint selling agent with Eastdil Secured, added: “This is a very exciting time to bring such a prestigious and unique European asset to the market, set against a backdrop of spectacular growth in the Irish retail industry driven by strong economic recovery. “There has been a wave of international, institutional capital chasing the very best of Irish real estate, with established players such as Hammerson, Allianz, Hines, Starwood REIT and a number of the German funds, Union, Real I.S. & Deka making significant investments in the past 12 months. Green REIT plc is a separately constituted entity and is unaffected by this sale.